I know there are plenty of homeschool mamas who wonder. I see them homeschooling like rock stars. I see them raising the next generation of thinkers and doers and world changers. 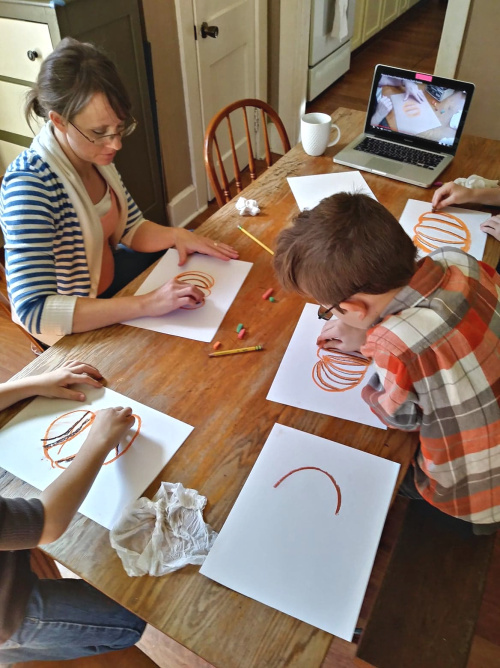 These moms don't need a piece of paper to do this homeschooling thing well. They don't need anyone's stamp of approval. They're teaching. Their kids are learning. And yet, they struggle to answer the critics. The Enemy slips in and tries to convince them to quit. You're not a teacher, so how can you teach. Perhaps he's whispered the same lies to you. Perhaps you too struggle to find a GO TO answer to give when you feel pushed against the wall by the bullies. Well, homeschool mama, let me tell you the same things I always tell my friends. Here's the little secret that the "professionals" don't want you to know: The only thing anyone actually learns at teacher's college is how to manage a herd. Very little time is spent learning how to teach. And that little piece of paper that the "real" teachers carry around in their wallets--the decorated approval of this college or that university? It's just a piece of paper. Nothing more. I went to school for four years, was nominated for teaching intern of the year, and was asked to speak at the graduation ceremony on behalf of the elementary education majors and yet, I still knew very little about actual teaching. In some ways, my degree has actually hindered my homeschooling ability as it has often kept me in a rigid box. 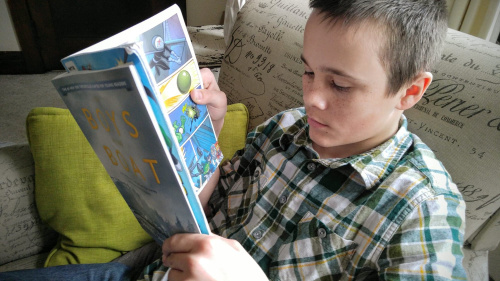 For a few years, I couldn't see the difference between homeschool and school-at-home and that ignorance tugged on my school day in some painful ways. Mama, you don't need a degree. It's not that helpful in homeschooling. 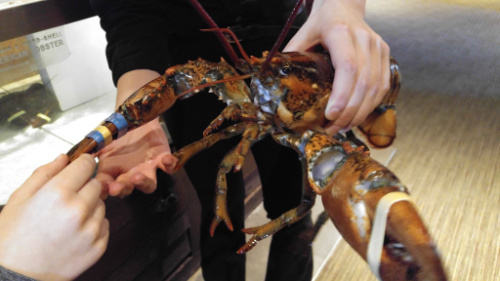 Who taught your child to eat? To walk? To talk? By the time he turned five, your child's brain grew to 90% of its adult size. 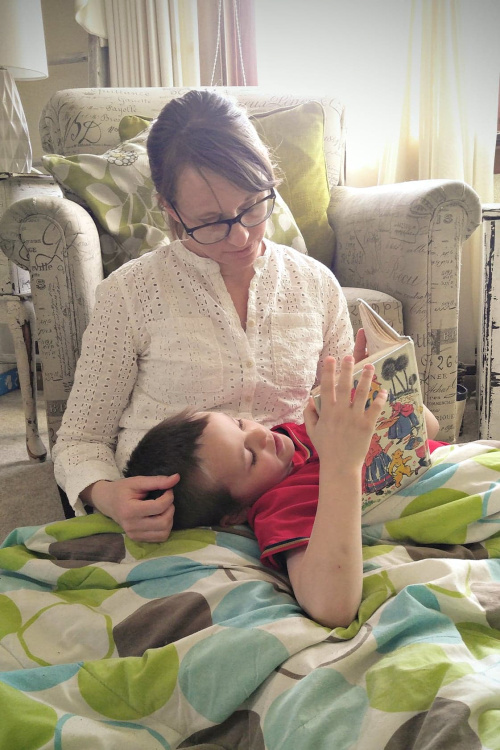 Considering the fact that he learned to talk and possibly even read during those early years, it can be said that he learned more during this formative time than he will ever learn at any other time in his life. And you were there. Teaching him. Mama, you have been teaching, so, therefore, you are a teacher. Full stop. You don't have to hand that title off to someone else just because your kid suddenly reaches the "magical" age of five. It's not your job to teach everything. In fact, you shouldn't teach everything. There are lots of benefits to passing some of the heavy lifting onto someone or something else. Mandarin Chinese, algebra, computer coding, magazine layout, Photoshop, stop-motion video, Lego robotics--these were not things I was equipped enough to teach. So I didn't. I hired someone else or purchased an online course. And I don't feel the least bit guilty about having done so. Homeschooling doesn't mean you have to teach everything. It just means that you get to decide how everything gets taught and by whom. The best part is, unlike kids in the traditional classroom who are stuck with whatever mediocre teacher is currently on the payroll, your kids can have online access to the best teachers and experts in the world. No matter the subject, no matter the skill level, your kids can learn from a top-notch online mentor right from the comfort of their very own living room. Mama, you don't have to teach it all. When I was in the classroom, I was pretty confident in the core subjects. I could explain new vocab words in my sleep. I knew all the steps to basic elementary math. And I could diagram sentences like a boss. But my knowledge of the content-oriented subjects like science and history was a little shaky. It's not that I was ignorant or lazy. It's just that it's impossible for anyone to know every minutia of certain subjects, myself included. When it was time to learn the distance from the earth to the sun, I learned it right along with my students. When the curriculum called for a lesson on Jessie Owens, I read his biography the night before. The same can be said of the names of North American songbirds, European capitals, turning point battles, and countless other interesting trivia that I did not know prior to teaching it to someone else. Homeschooling is no different. The other day, my middle son had to write a short report on the journalism contributions of John Peter Zenger. Funny thing, neither he nor I knew who Zenger even was. Turns out, he was an 18th-century colonial journalist whose bold reporting set the stage for freedom of the press. I didn't know any of that before. But I know it now. Mama, you don't have to know everything. Teachers often learn as they go. 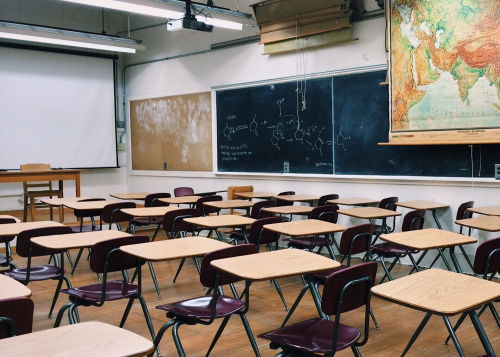 The truth is, there are very few methods for evaluating the ability of traditional teachers and even fewer ways of weeding out those who have been proven to be subpar. When I was in the classroom, I witnessed a couple of extraordinary teachers. These were folks who cared deeply for their students and who did all they could to ignite curiosity and forge learning. But, I also saw plenty of teachers who were just putting in time. Teaching was their way of earning a paycheck and nothing more. Sadly, unions and tenure status make it impossible for anyone to raise an eyebrow's worth of concern over the questionable ones. Mama, no one will love your child more or have his best interest at heart more than you. You don't have a teaching degree? But don't think for one hot second that you can't give your child an excellent education anyway. Don't let a piece of paper, or lack thereof, determine if you get a pass or fail in this thing. You can teach. You are a teacher. If this whole not-a-teacher silliness has you wondering if you can do this, might I suggest my new book, Homeschool Bravely: How to Squash Doubt, Trust God, and Teach Your Child With Confidence? With practical tips and plenty of encouragement, it will help you quiet the voices of “not good enough.” I wrote this book specifically with you in mind. Let me cup your shaking chin, lift your eyes off your worries, and show you how to press on with courage. 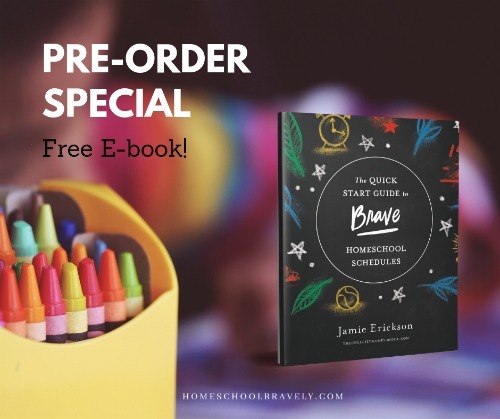 If you order before April 2nd, I’ll also throw in my Quick-Start Guide to Brave Homeschool Schedules, a 52-page eGuide that will help you put together a school year schedule that will work for you. Thanks for weighing in. Fearful mamas need lots of strong and encouraging voices in their corner. Actually very little time (just a part of one class) was spent on "managing the herd" and the rest of my classes were about content and how to teach it, specific to your major. That piece of paper hanging on my classroom wall does have value, and I am extremely disappointed that you would say that. I would never put down, criticize, or belittle a parent who is homeschooling. Teaching is amazing and challenging - whether you are teaching your own kids or someone else's. My point was not to make light of a degree, but only to show that it's really not that necessary for homeschooling. I think it's great that you value your education. 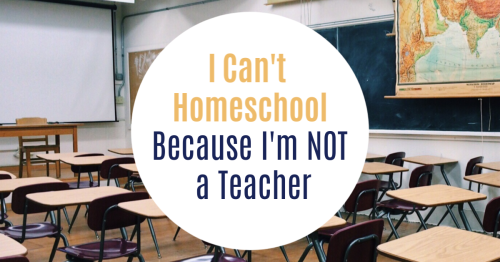 Please understand, however, that your opinion of homeschoolers as a classroom teacher is the exception and not the rule. As a former classroom teacher, I am privy to both sides of the coin and know that most homeschoolers are doing just fine with or without the piece of paper. Jamie- your post is great and I agree with a lot. My wife and I are praying through the "to homeschool or not" debate. I did want to raise that the statement "The only thing anyone actually learns at teacher's college is how to manage a herd. Very little time is spent learning how to teach" is really a bit over the top. I understand your angle and point, but based on the newest demands on exams and video-based portfolios required to get a teaching license, there is little truth there. Thank you again for posting this... great to get the word about homeschooling advice and guidance! I guess we'll have to agree to disagree. But that's OK.